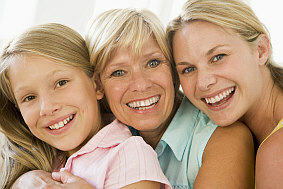 Women like you, come to us to explore Natural Therapies as possible Treatments. We take the time to listen to you, to create a safe haven where you can escape the daily pressures of life. It is important to us, to invest the time and understand your story. We want to get to know you, and make sure we get an accurate picture of what your body is telling you. From there, we can begin to offer suggestions and provide natural therapies support to empower you to be healthy and happy. Often women come to us thinking they know what natural therapies they want and need, but end up finding their complete solution lies in a multi-faceted, holistic natural therapies approach to their wellness journey. That’s why we’ve created the following packages that focus more on the outcomes desired than the individual symptom experienced or natural therapy thought to be needed. Acupuncture is a form of Chinese medicine and may help manage a range of symptoms including pain, stress and fatigue. Cupping is a treatment of applying glass cups to the skin. These glass cups are heated which creates a vacuum and placed on your skin’s acupressure points or the source of your pain. Kinesiology is a safe, gentle and non-invasive form of natural therapy. This treatment is performed through muscle testing your body. We can identify the cause of a particular issues, clear emotional blocks and test the effectiveness of vitamins, minerals and Chinese herbs for your body system. Massage is a great stress management tool and a soothing way to let your mind and body relax. During your massage we use top grade Young Living essential oils which are absorbed into your body, and helps to balance your hormones, relax your muscles and nourish your skin. Our Ion Cleanse Detox Program is a great way to rejuvenate and cleanse your body giving your body physically and emotionally to refresh. Your body is constantly being bombarded with toxins from food, preservatives, medications and your environment. You are forever breathing in fumes and touching metals that can be absorbed into your body through your skin. Australian Bush Flower Essences are gentle essences that help you balance and heal emotionally as well as on a physical level plus release old thought patterns and negativity. Chinese herbs have been used for over 5000 years, making them one of the oldest health treatments in the world. There are over 450 different substances used in Chinese medicine. Most herbal medicines are available in user friendly tablets or teas. Essential oils are aromatic extracts from plants, herbs, flowers, spices and trees that promote healing from within your body. This test measures the levels of 35 nutrient and toxic minerals and 25 comparative mineral ratios found in the first few centimeters of hair closest to your scalp. The data from this test is used to help select the optimal minerals your body needs for good health. Chinese Medicine or TCM is a term covering a range of medical practices that originated in China thousands of years ago. Chinese medicine includes acupuncture, cupping, herbal medicine, dietary therapy and massage. Most people are aware of the need to have a balanced diet. When your body are out of balance you may need to take additional high quality vitamin or mineral supplements. Banksia Women’s Healing Centre uses and recommends Metagenics supplements to boost your natural health. There are a suite of solutions to assist you to overcome persistent pain. We’ll get to know you and tailor a custom solution to suit your unique journey. There are a number of ways to deal with a lack of energy. The problem could be stress, or you may need detoxifying or hormonal equilibrium. Menopause is different for every woman. The symptoms can be terrible, but you can get them and your hormones balanced naturally with a little help.